Keep leftovers in mind: Food (and money) can go to waste when leftovers go uneaten. Instead of tossing out your forgotten leftovers, incorporate them into a whole new dish. Set slow cooker to low. Cook for four to five hours. 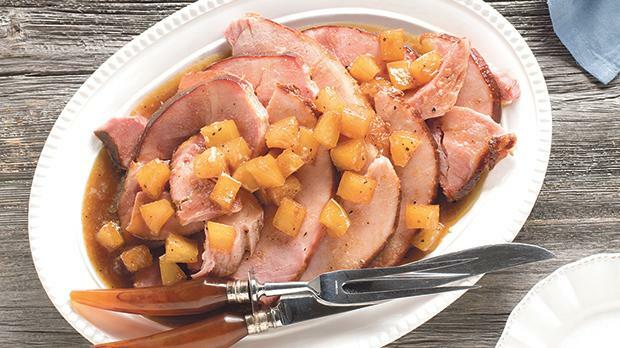 Serve sauce on side or heat oven to broil and glaze ham. Broil for three to four minutes for caramelised crust. Recipe courtesy of Chef Alyssa at the Aldi Test Kitchen.